■ Will there be snow? The ski lifts open around the middle of December and we are still skiing well into April, the slopes in Megeve are on pastureland, No rocks, and a light dusting of snow is enough to open the resort. 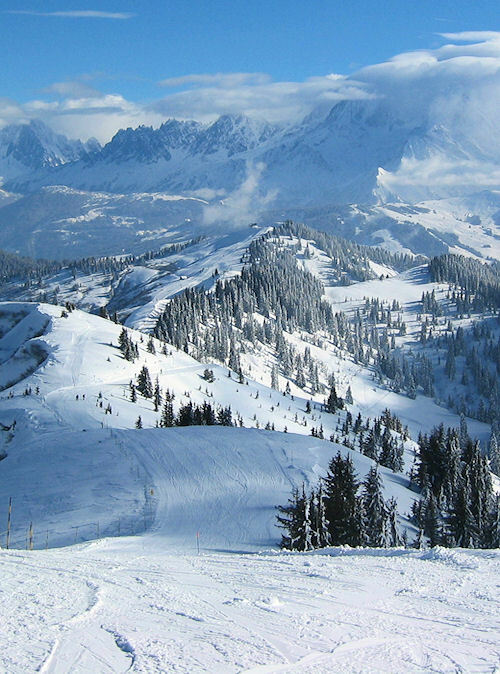 Megeve is also very sheltered, keeps its snow for longer and is not skied out as quickly as larger resorts. We can still find fresh powder days after it has fallen. For peace of mind there are also over 650 snow cannons in resort to keep pistes open throughout the season. ■ What is ski hosting? We provide a free ski hosting service to our guests. This service is to familiarise you with the resort and to save you the time of looking at a piste map, our ski hosts know the resort well but are NOT Ski Instructors and are not able to give any Instruction. We have a slower, medium and faster group and guide on Monday, Tuesday, Thursday and Friday mornings until 12.30 when we will meet in the same restaurant for lunch. (hosting days may differ over the Christmas and New Year period). There is a chance that we may have to suspend ski hosting due to regulations in French law. ■ How far are the ski lifts from Chalet les Cimes? The nearest ski lift from Les Cimes is the Chamois lift in the centre of town, a 5 minute walk in ski boots. 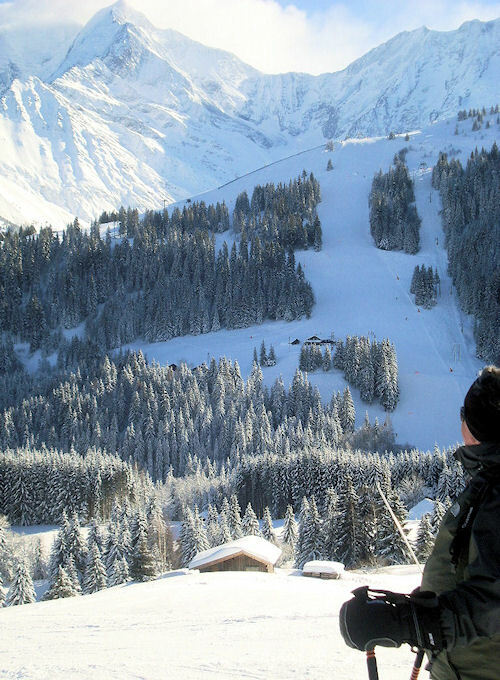 The ski bus stop which goes to Jaillet and Mont d’Arbois is just a 2 minute walk away. ■ Is there a reduction if 3 or 4 adults share a room? Yes if you are staying in Les Cimes there is a reduction of £30 per person sharing a triple room and £50 per person sharing a quad room. ■ Is there a single room supplement? Yes, there is a 60% single room supplement at Les Cimes, unfortunately we do not have any single rooms which means that the accommodation will be in a twin or double room. ■ Do you have a brochure you can send? We no longer have a printed brochure as there is much more information on the website, however we do have an online brochure plus some video footage. ■ Do you cater for children? Is there a Creche in resort? Our chalets are child friendly, our chefs provide a simpler menu for children and we can cater for them at an earlier time, however we do not provide a creche service. There is a creche at Mont d’Arbois for 1 – 3 year olds as well as a creche in the centre of Megeve, the ESF operate a creche on the slopes at the top of the Chamois lift for 3 to 5 year olds. We can provide further Information and prices on request. ■ Can I hold a room while I look at flights or confirm with friends? Yes, we will hold rooms for you for 3 days, we will then automatically take the rooms off hold so please keep in contact with us if you would like the rooms held for a longer period. ■ I am just about to book flights, which airports do you pick up from? We only operate a pick up and drop off service to and from Geneva airport which is a one hour drive from Megeve. ■ Who will meet us at the airport? One of our drivers or representatives will meet you on your arrival at Geneva, they will be holding a Ski Royale sign. ■ Do you have specific transfer times? No. We meet all flights, you just need to let us know your arrival times. However, if there are two flights arriving within 30 minutes of each other then we will wait for the second flight. Any waiting time is kept to a minimum, our priority is to transfer you to resort as early as possible. ■ I need ski’s and boots, who should I hire from? If you are staying at Les Cimes we recommend Champfort Sports which is a few minutes walk from the chalet where our guests receive a discount, you can either pre-book online or we can organise equipment hire once you arrive in resort. ■ How much are the ski passes? A 6 day adult pass is 231 euros and children’s pass 185 euros. A 4 day adult pass is 163 euros and a 3 day adult pass 128 euros. The hands free ski pass is 2 euros. Click here for a full price list. ■ How do we organise our ski passes? Do we need a photograph? We can pre-order passes for you prior to your holiday so they are ready for you on arrival, if you wish to purchase your own please let us know beforehand. Payment is to be made in cash in resort as we pay cash for the passes ourselves. If we pre-order your passes we do not require photographs. ■ I need ski lessons, who should I book with? should I book in advance? 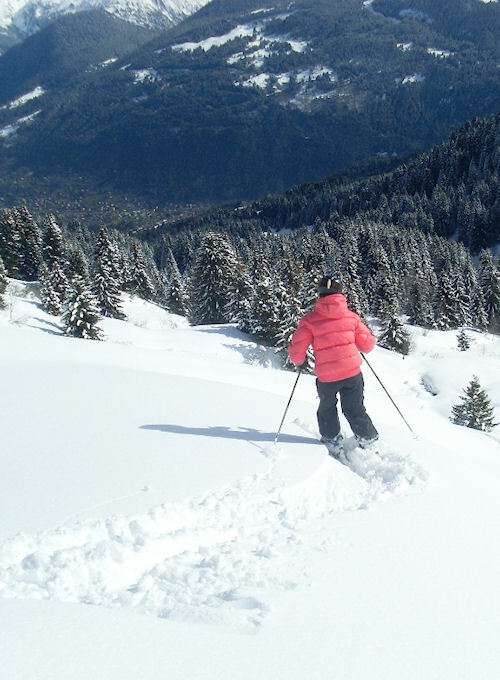 There are a number of excellent ski schools in Megeve, prices start at 46 euros for a 1 hr private lesson for up to 2 persons with the ESF French ski school and 49 euros an hour with the International ski school. During the peak holiday periods it is essential that you book in advance. 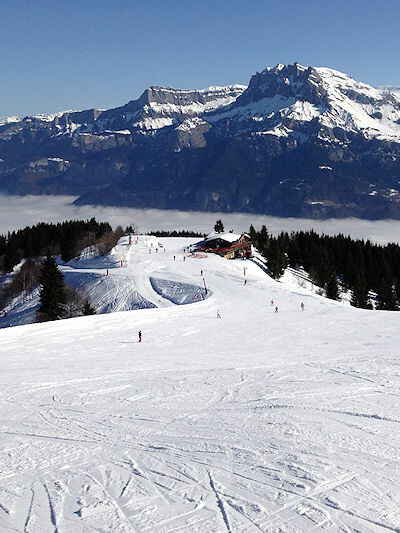 Click here for a full list of ski schools in Megeve. ■ Can the chef cater for dietary requirements? Yes our chef is fully qualified and can cater for any dietary requirements or food allergies. ■ Do I need a full area ski pass if I am a beginner? No, you can buy a beginners pass which covers the lower slopes, the cost is 20 euros for the day. ■ I am a first time skier what should i bring? 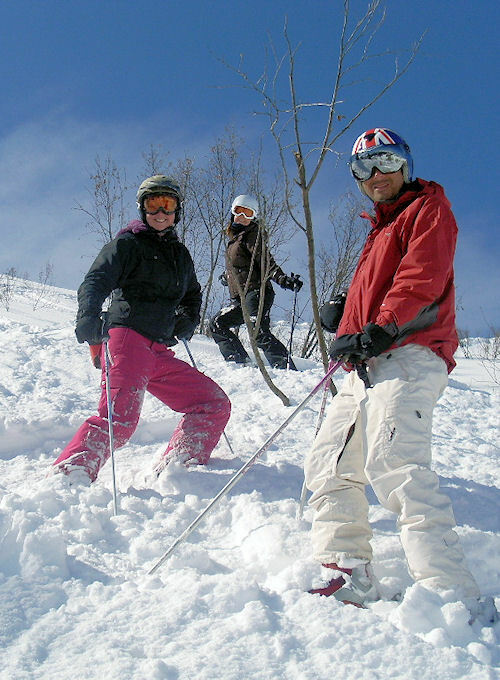 Jacket and salopettes (ski trousers), short or long t-shirts or thermal wear under ski clothing, ski socks, gloves and hat, sun block and lip salve, ski goggles or sunglasses, insurance documents. ■ I am a non skier what is there for me to do? There is a large sports centre in Megeve with a swimming pool, sauna and a gym, an indoor and outdoor ice rink and a spa where you can book massages, there is a local market every Friday plus lots of scenic walks. Megeve has lots of designer shops and splendid restaurants. Free access on the ski buses will enable you to meet skiing friends for lunch, if you are feeling adventurous you could take a scenic flight over Mont Blanc or a trip in a hot air balloon. ■ I need Ski Insurance, can I obtain some from you? It is essential that you have adequate ski insurance cover for any holiday that you take, If you do not have your own cover we recommend that you click here for an on-line quote. ■ When is the balance due? The balance is due 8 weeks before your holiday, we will send a reminder by email approximately 2 weeks before. ■ What time can we check in and what time do we need to check out? You can check in at anytime, if you arrive early and the room is not ready and you want to get skiing straight away we will give you a room to change in. If you are skiing on your last day we will need you to vacate your room before you go skiing and will have a room available on your return from the slopes so that you can shower and change in before heading off to the airport. ■ We are driving, do you have directions to the chalet? Yes we can email you directions. ■ Can we hire ski clothing in resort? Unfortunately there is no where in Megeve that hires clothing. 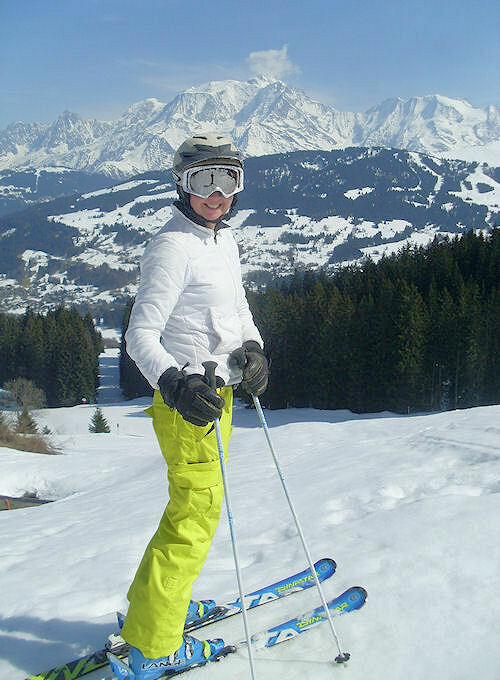 If you are a first time skier we recommend you borrow from friends, have a look on e-bay or buy from TK-Max. ■ What else should I bring? Swim suit if you are planning to use the swimming pool or spa, camera, camcorder, personal games, DVD’s or ipod. Our friendly and knowledgeable office staff are always on hand to answer any other questions that you may have.